The official definition of "Disinterested Third Party Escrow" according to the Escrow Association of Washington means any transaction wherein any person or persons for the purpose of effecting and closing the sale, purchase, exchange, transfer, encumbrance, or lease of real or personal property to another person or persons, delivers any written instrument, money, evidence of title to real or personal property or thing of value to a third person to be held by such third person until the happening of a specified event or other performance of a prescribed condition or conditions, when it is then to be delivered by such third person, in compliance with instructions under which he is to act, to a grantee, grantor, promise, promisor, obligee, obligor, lessee, lessor, bailee, bailor, or any agent or employee thereof. an arrangement where an independent trusted third-party (the escrow company) receives and disburses money and/or documents for two or more parties in a real estate transaction, with the timing of such disbursement by the third-party dependent on the performance by the parties of agreed-upon contractual provisions. an account established by a broker, under the provisions of license law, for the purpose of holding funds on behalf of the broker's principal or some other person until the consummation or termination of a real estate transaction. Buying or refinancing a home? Here is what to expect from escrow. 3. Copies of Title Report are sent to all parties along with letters of inquiry. All Seller financing would eliminate steps 5, 8, and 11. All Cash purchase would eliminate steps 5 and 8, and eliminate the lender on 11. Close Date In the State of Washington the Close Date is traditionally considered to transpire when documents are recorded. Closing Documents Documents that are prepared by Escrow from the information provided in writing by all parties to the transaction, i.e., Closing Instructions. Closing Statement A detailed individual itemization (cash accounting) of the transaction prepared by Escrow and provided to all parties in the transaction. County Recorder/Auditor A county official who by State law is responsible for the recording of all deeds and other instruments in writing which by law are or may be filed for public record in the county. Deed An instrument that is used to transfer title from one party to another. i.e., Statutory Warranty Deed, Bargain and Sale Deed and other Deeds. Funding Approval The lender must approve the signed loan documents before documents are recorded and funds are available. Funds Disbursed Funds that are due parties to the transaction are disbursed. i.e., payoff, seller proceeds, lender/mortgage broker fees, etc. Funds Needed to Close Expenses of the sale or refinance which must be paid in addition to the purchase price in the case of a buyer) or deducted from the proceeds (in the case of a seller). 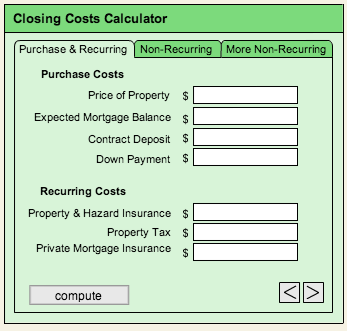 The $ amount of the closing costs is provided by Escrow when the appointment for signing is made. Individual Appointments Appointments are made with the parties to the transaction, buyer (borrower in Refi.) and seller to sign their appropriate documents. Realtors and Loan Reps may accompany their clients. It is the custom in Washington State to sign the parties separately. Letters of Inquiry Letters sent to Buyer and Seller by Escrow requesting specific information pertinent to the transaction. i.e., seller would be asked if there is a mortgage(s) on the property and who they are making those payments to. 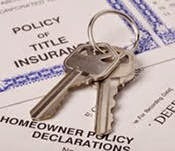 Owners Title Policy A title insurance policy insuring the owner against loss due to any defect of title not excepted to or excluded from the policy. It is delivered to the owner of the property (on a purchase only) usually within 90 days after the transaction is closed. Payoff Figures These are obtained by Escrow from a lender that the seller (or borrower in a refinance) has provided the information on. The Preliminary Title would also show any liens of record. Preliminary Title Report A report created by a title company that lists all documents of public record that have an effect upon title to the specified property. Purchase and Sale Agreement Sometimes called an Earnest Money Agreement. It is a legally binding Contract of sale and purchase of real estate in Washington State. It is in this contract that the buyer and seller come to final agreement on the terms of price, payment, prorations, date of closing, and all other matters pertinent to the sale. Reconveyance When an obligation secured by a Deed of Trust has been paid in full, a Reconveyance is recorded to remove it from public record. Recorded A document is considered recorded when the Recorders office enters it into the public records. All About Escrow, Inc., is an independently owned and operated escrow company licensed by the Washington State Department of Financial Institutions. We serve all of Jefferson County, including the communities of Port Townsend, Port Hadlock, Kala Point, Cape George, Port Ludlow, Quilcene, and Brinnon. We also provide escrow services for closings throughout Western Washington including Mason, Kitsap, and Clallam counties. 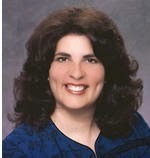 Susan Monroe, President, All About Escrow, Inc. Since 1983 Susan has been working in the escrow, title, and real estate industries, gathering a wealth of knowledge and experience she uses to give her clients professional service and smooth closings. She's an expert at clearing title and closing all types of transactions including residential real estate, manufactured homes, and commercial properties. President, All About Escrow, Inc.
Limited Practice Officer, All About Escrow, Inc.
Why should you consider an Independent Escrow Company for the closing of your real estate transaction? Escrow is all we do. Since escrow is our only business, we're experts at coordinating the buyers, sellers, agents, lenders and title companies for a smooth and timely closing. We have more than 25 years of experience closing real estate transactions. Our Mission is to provide a seamless closing experience through teamwork, professionalism, and a standard of care that exceeds our clients’ expectations.